Behold Iddy the Dice Bag! One of my primary goals at Gen Con was tracking down as many of the people I have gotten to know in some capacity over the last year or two through my blog. 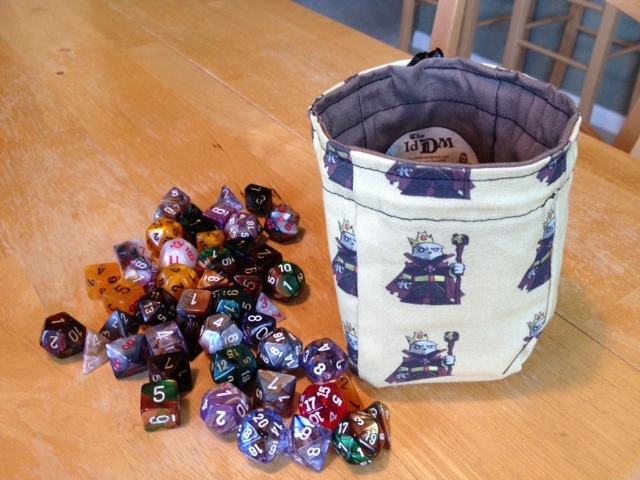 As a way to thank the individuals who were kind enough to agree to an interview for my site, I had special The Id DM dice bags created by Dragon Chow Dice Bags. The end result was fantastic, and I was excited to dispense the bags at the convention. I once again offer my gratitude for their time and willingness to respond to my questions. And if you enjoy the photo of the dice bag above, then this is your lucky day because I am going to run my first-ever contest through this site. 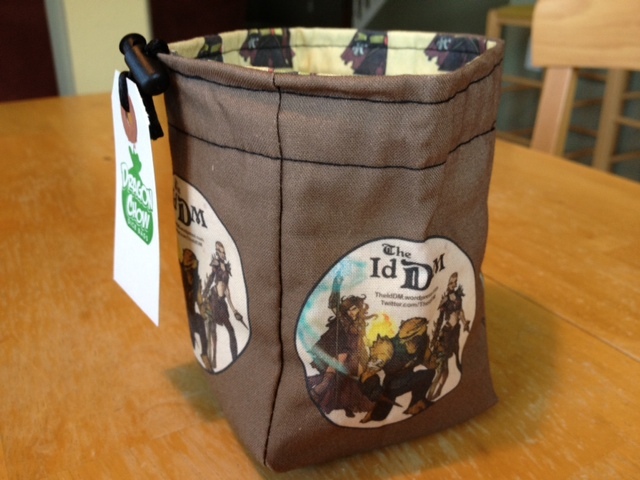 Multiple winners will be mailed a The Id DM dice bag created by Dragon Chow Dice Bags. Read below for the details! Long time followers of my site will know that I have commissioned a variety of artists to depict my mascot, Iddy the Lich, and Brian Patterson graciously included him in a strip at d20monkey. For those of you who are new to the site and would like to view their work, I have created a new page for the site simply titled Iddy Art. You will find every version of Iddy that exists – from Grant Gould’s original design to my most recent purchases at Gen Con. If the readers, artists and I happen to select the same image as our favorite, then the tiebreaker will come from the reader voting. I think this is a fair system because I get to pick a winner, the readers get to pick a winner and the participating artists get to pick a winner. 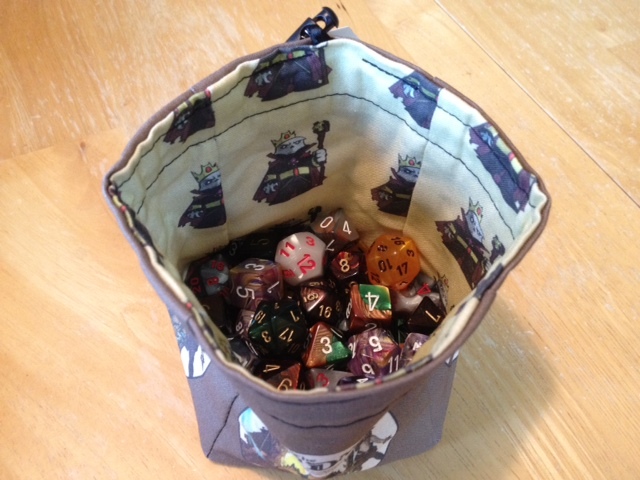 All of these dice fit easily in the bag with plenty of room to spare. 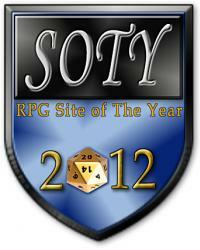 The deadline for submissions is September 30, 2012. At that point, I will work to set up a voting system on this site and offer a brief time period – likely a week – for readers to vote. I will collect the artists’ votes privately through email. All submissions must be sent electronically to my email at TheIdDM@gmail.com and use the subject line Iddy the Lich Art Entry. I am unsure how many submissions I will receive; I might not receive any. If I have the happy problem of getting a lot of submissions, then I will attempt to expand the prize pool. Please contact me if you have questions or suggestions. This entry was posted in Gen Con, Gratitude and tagged Art, Contest, D&D, Dice, Dragon Chow Dice Bags, Dungeons & Dragons, Gaming, Iddy the Lich, RPG. Bookmark the permalink. Sounds like a fantastic idea! I will be working up some by Dragon Chow next year for some of the lucky backers of my last Kickstarter project, so it’s good to see how nice yours turned out! Yes, Lyndsay from Dragon Chow is great with customizing the bags. Good luck! I’m lurking from a while on your blog and I really like it! So, this weekend I’m going to send you my take on Iddy The Lich. And congratulations for your blog! Fantastic! And thanks for following the blog. Awesome! You can expect a submission from me.